Thanks to my job at Spoonflower, I've had the good fortune to attend a number of Quilt Markets over the years. As anyone who has attended this event knows, many fabric companies give away mini charm packs (2.5" squares) of fabric to attendees to promote upcoming collection releases. 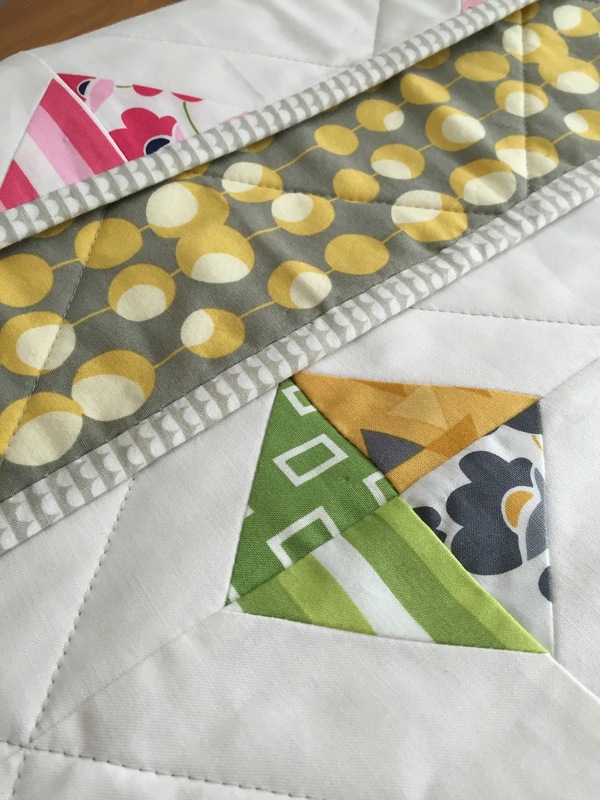 I managed to snag two mini charm packs of Vanessa Christenson's fabrics in the past few years, and recently took the time to turn them into a quilt. 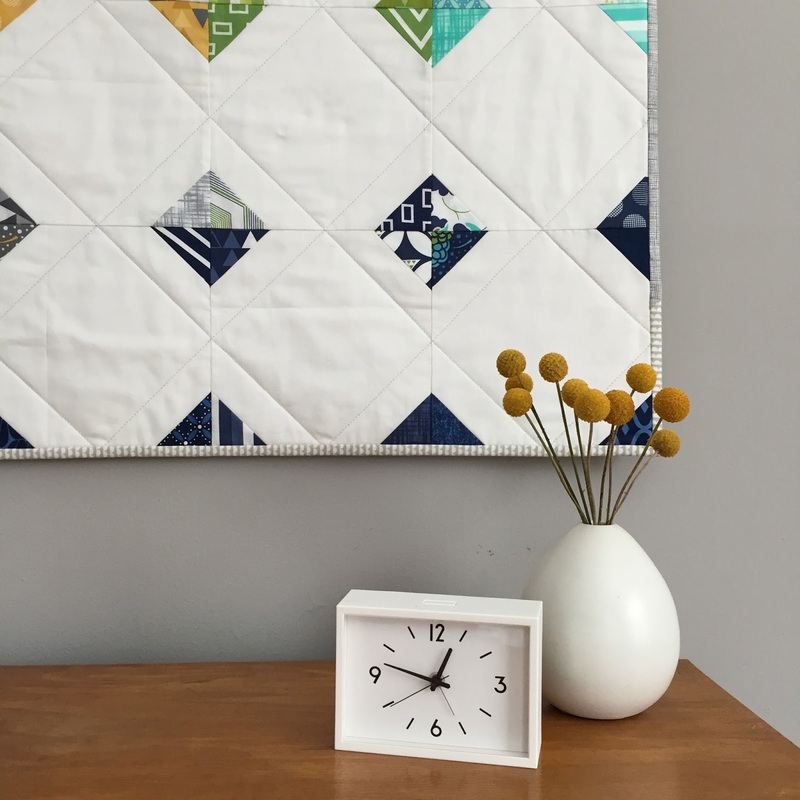 Inspired by this Amish Hourglass quilt, I cut each of the squares into triangles, and sewed them to the corners of solid white squares. 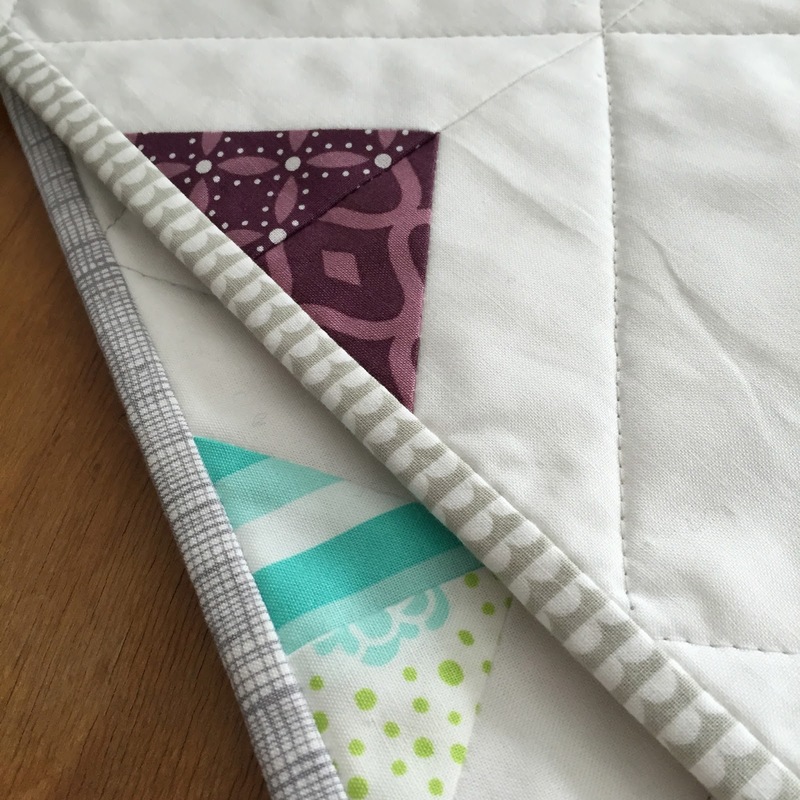 Unlike the original inspiration, I sewed the triangles to each of the squares' corners, so that once sewn together, they created scrappy squares on point. 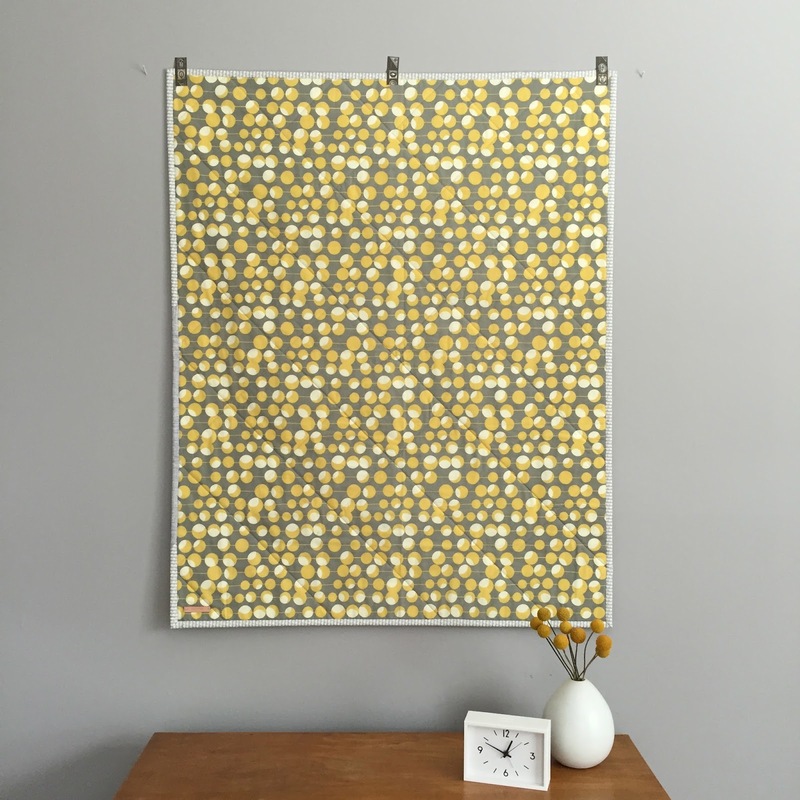 For the backing, I used a long-saved gray-and-mustard print from Amy Butler's Midwest Modern line, which turned out to be the perfect complement to Vanessa's prints. 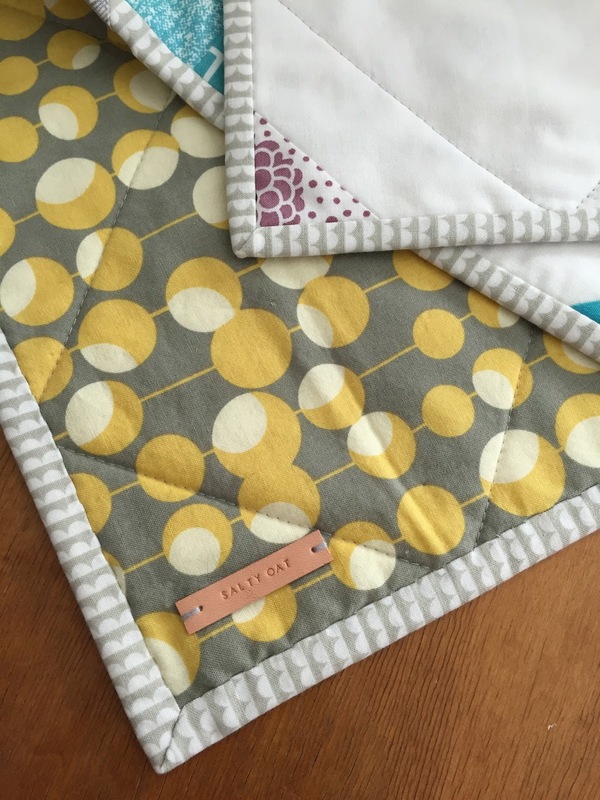 Continuing with the backing's color scheme, I quilted a large grid in gray thread, and made a gray, scrappy binding from some favorite prints. 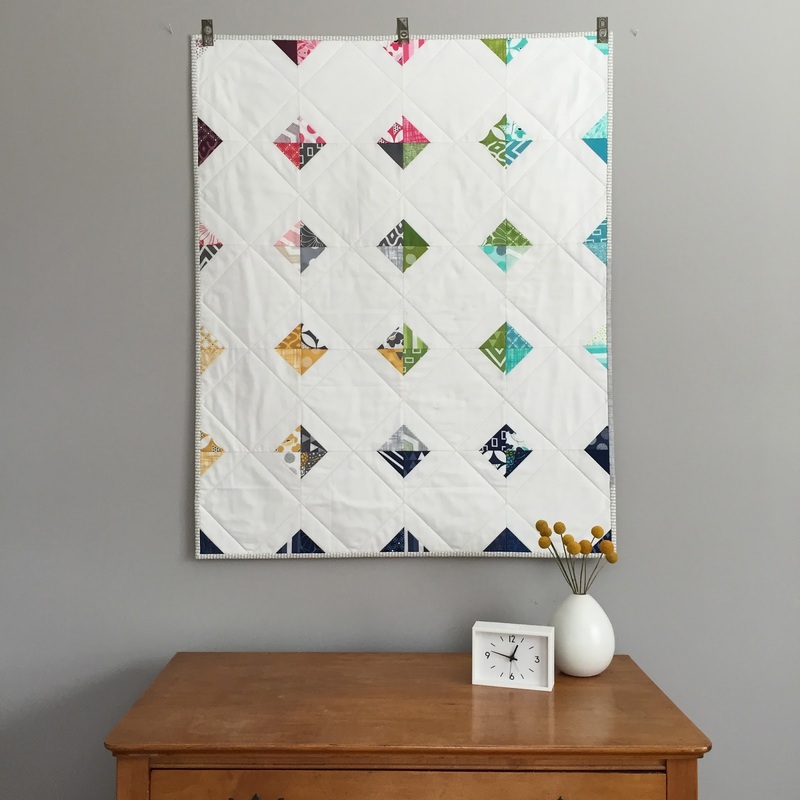 I love how the quilt incorporates so many colors and prints, yet thanks to the block's minimal design, remains simple and modern. This is definitely a block pattern that I would like to experiment with more, especially by limiting the number of triangles I add. This quilt is now available in the shop, ready for gifting.